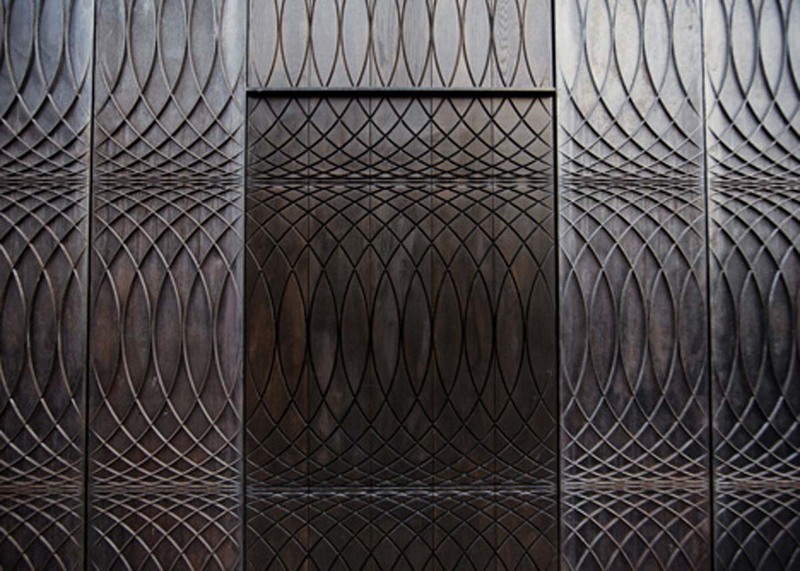 6a Architects abstracted Paul Smith’s hand drawings to create a repetitive relief pattern of interlocking circles to cast in iron, a common material around the British capital. “Cast iron forms an understated background to the city’s streets; its railings, gratings, balconies, and lamp posts,” said the architects. 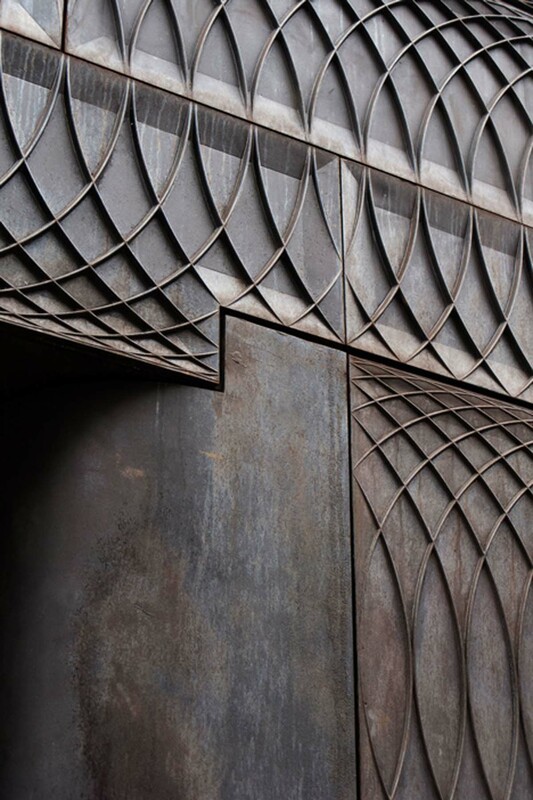 Thin edges of the circles are embossed to cast shadows across the surface, which is patinated and marked from the casting process. 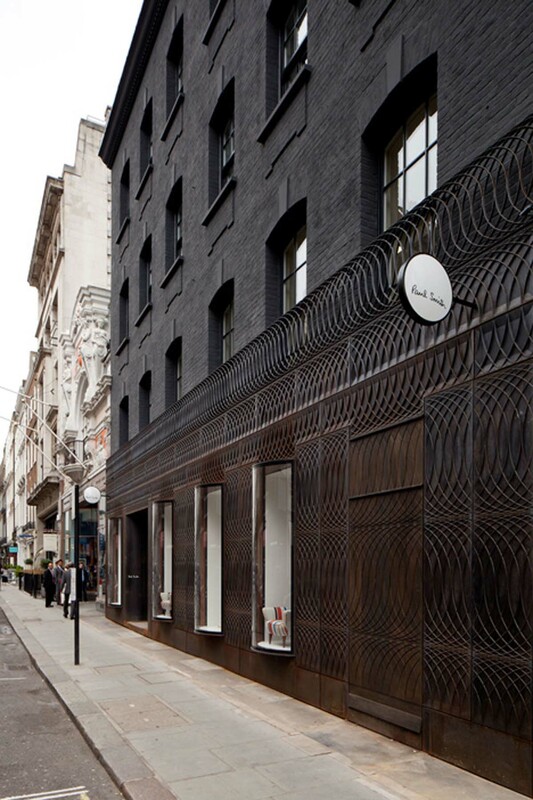 The facade covers an existing eighteenth century shop front, and its colour and style provides a sharp contrast to the other Georgian buildings in the Mayfair area of London. 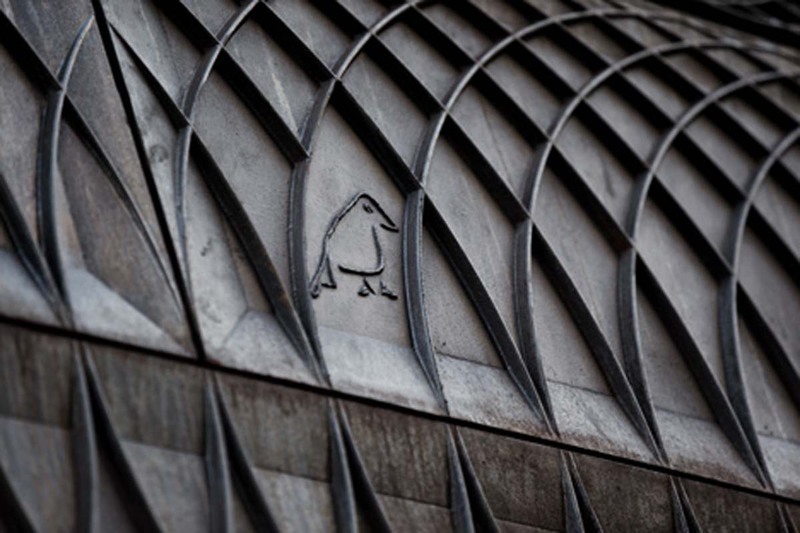 Three small drawings by Smith have been cast directly into sections across the facade. Curved glass cabinets protrude through the ironwork to display items of furniture. 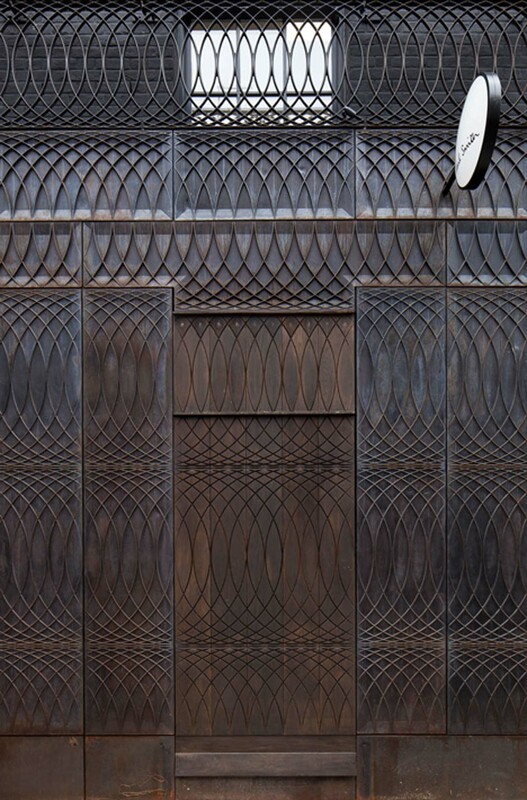 At the entrance to the shop, the panels curve inward to the large stained oak doors. Inside, the store features brightly coloured accents to match the designer’s furniture and an accessories room lined with dominoes – see our earlier story about the interior here. 6a Architects has previously completed the renovation of a contemporary art exhibition centre in east London and stripped back a derelict house to expose original structural features. 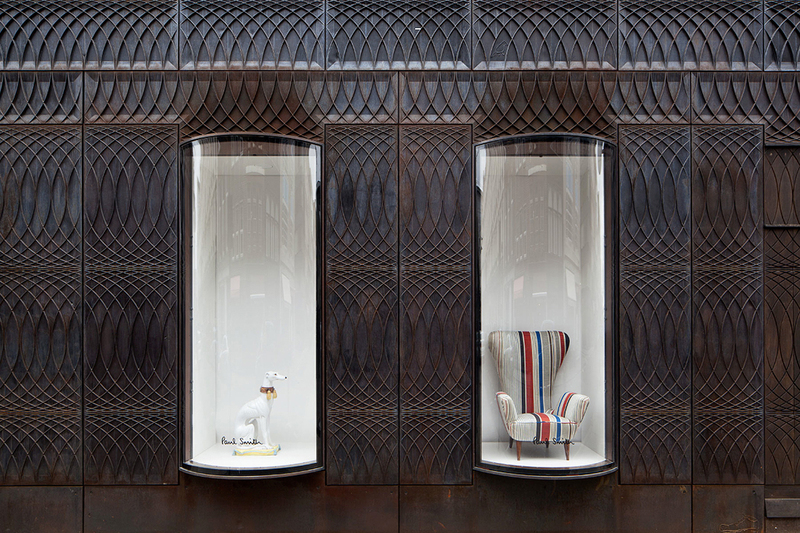 The new Albemarle Street shop front for Paul Smith builds on a familiar material tradition in London. 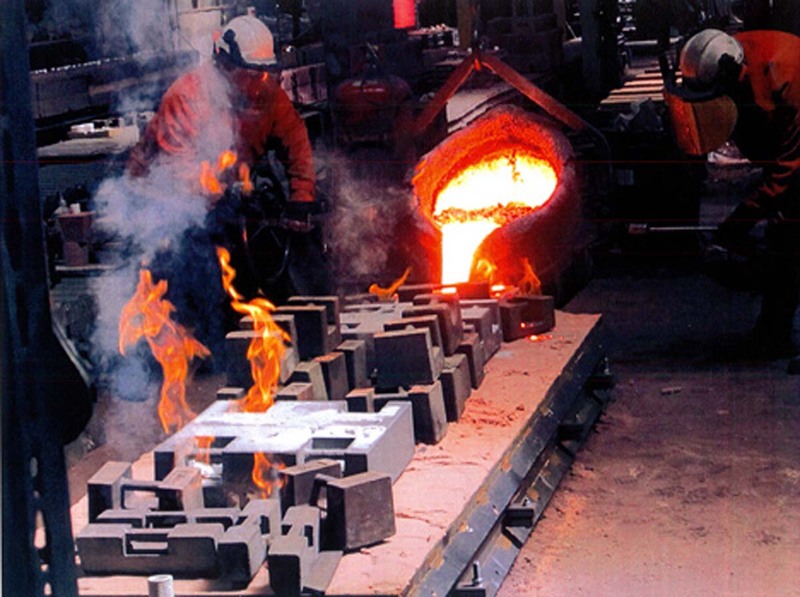 Cast iron forms an understated background to the city’s streets; its railings, gratings, balconies, and lamp posts. 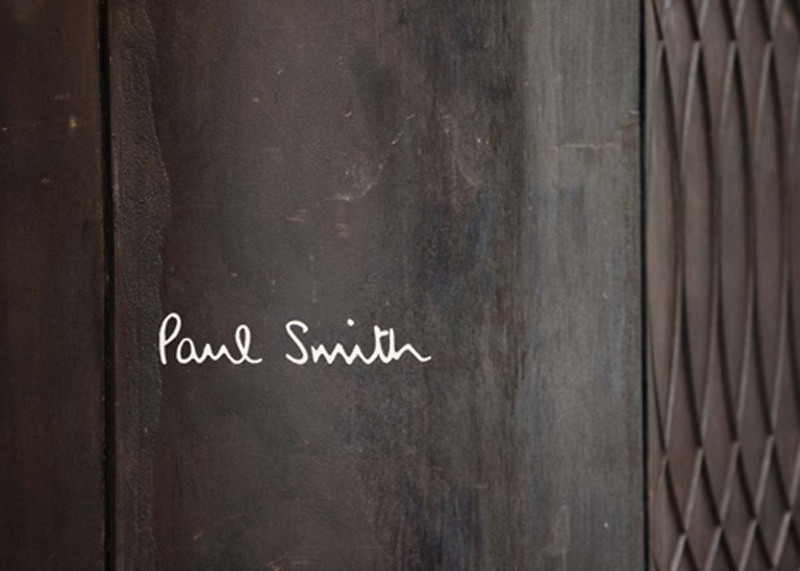 Paul’s brief was an eclectic collection of references, images, textures and traditions, encompassing military medals, woven hats and finely drawn gold ingots alongside sharp tailoring, the soft fall of cloth, craftsmanship and delight in surprise. 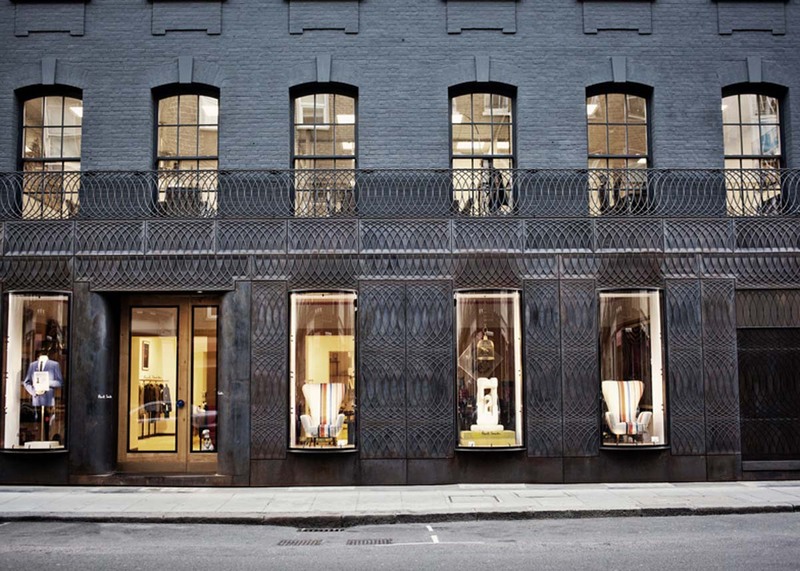 The ground floor rustication of the Georgian townhouse and the ornamental language of the 18th century shop front were reinterpreted and abstracted in a sinuous pattern of interlocking circles cast into a new solid iron facade. 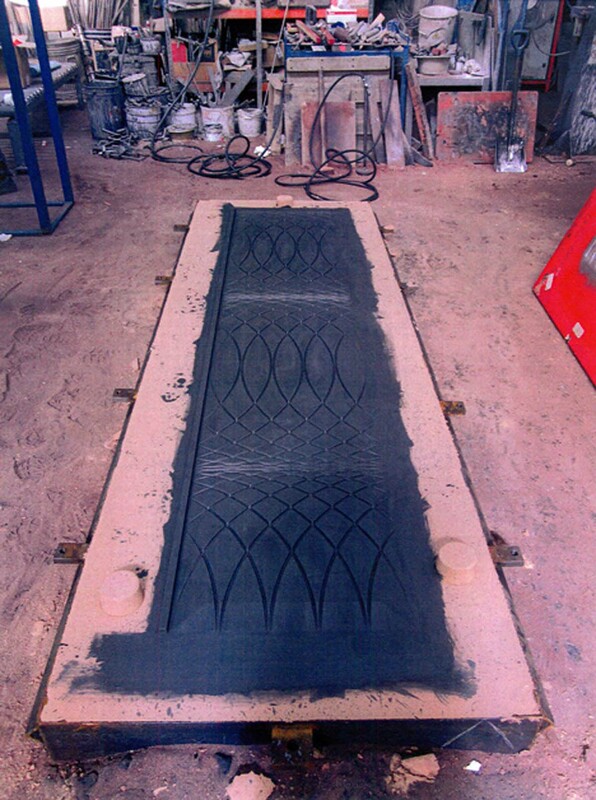 The repetition of the typical Regency shape brought an optical complexity, which with the play of sunlight and shadow turns the pattern into a deep surface texture. Seen obliquely it seems woven, like a fine cloth.